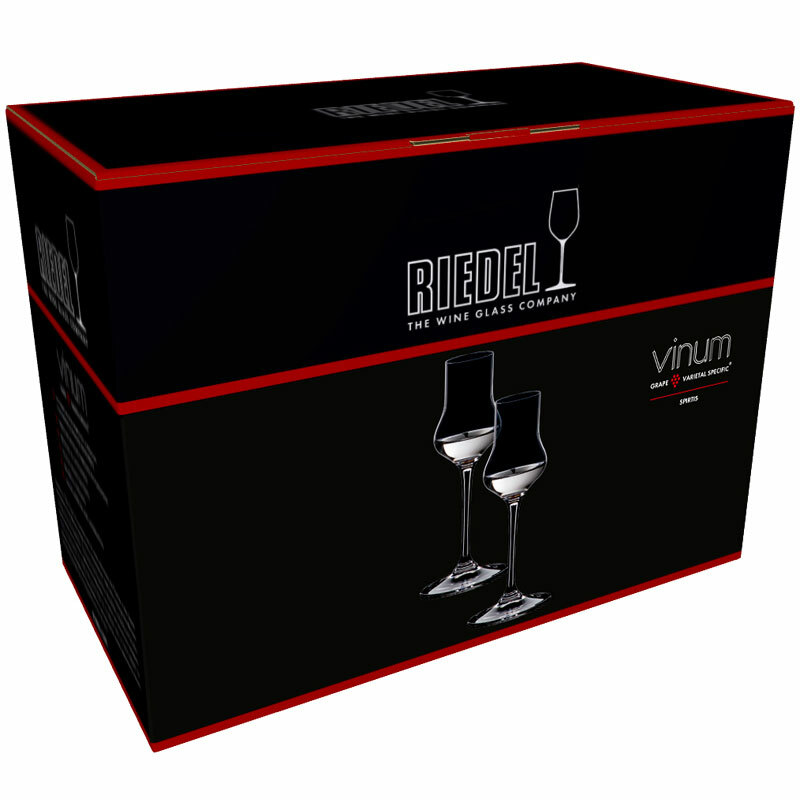 This Riedel glass from the Vinum range is great for all types of Spirits. The unique bowl on this glass traps the aromas within the bowl, not allowing them to escape which then in turn provides you with more taste. 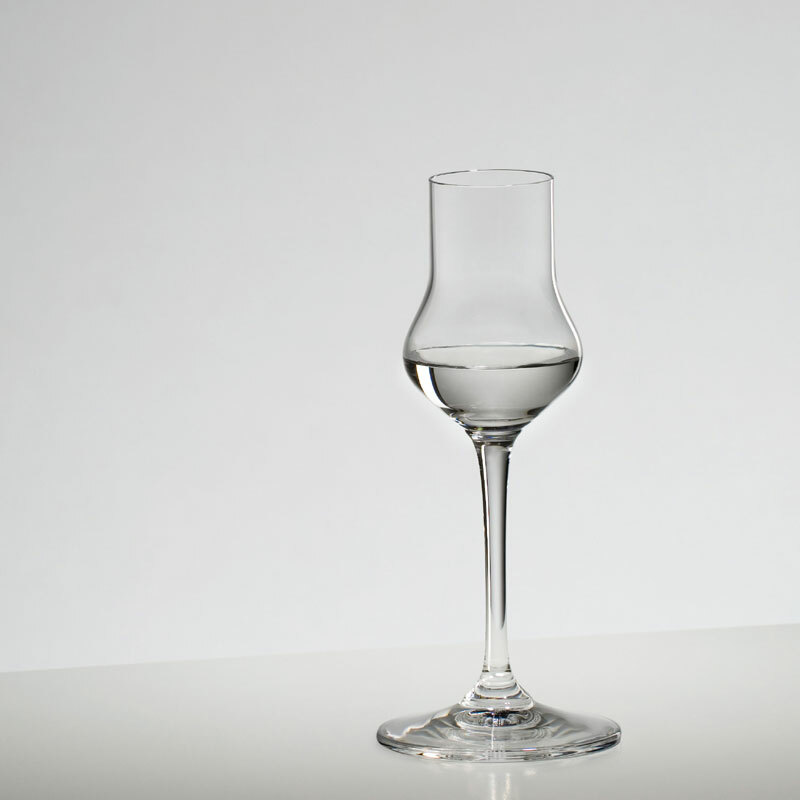 With a relatively low capacity of 80ml, this small glass has been in production within the Vinum range since 1987. Producing this glass for that amount of time shows that it's both popular and very effective at what it does and how it works. Supplied in a set of two, these glasses are packaged in Riedel's signature packaging, a simply black and red gift box. Recommended for: Aquavit, Kirsch, Maraschino, Subowitz, Soft Fruit, Spirits, Stone Fruit.